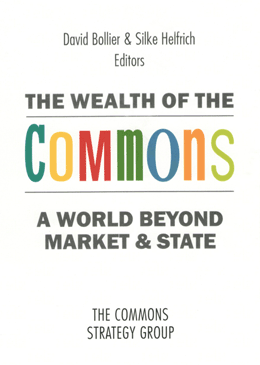 Reviewer Leo Burke: "If I were to be marooned on a desert island and could take along only two commons-related books, they would be Elinor Ostrom’s 1990 classic, Governing the Commons, and David Bollier and Silke Helfrich’s The Wealth of the Commons. This remarkable anthology of seventy-two essays by authors from six continents represents a milestone in the commons literature." The full review at Kosmos Journal.